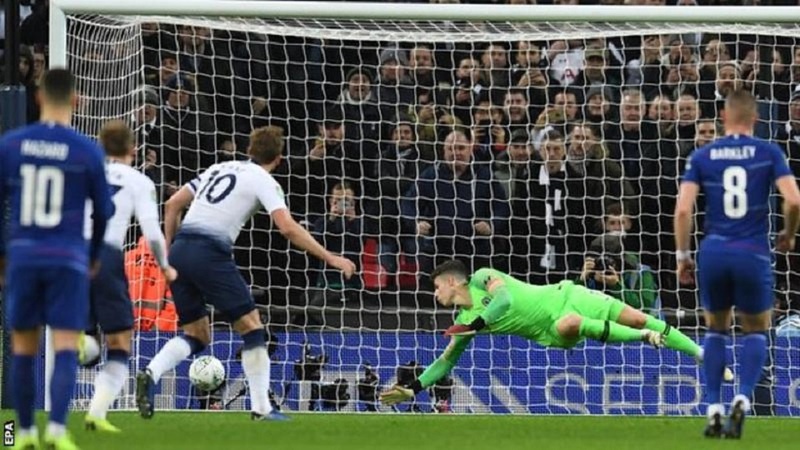 Harry Kane’s first-half penalty gave Tottenham a slender advantage as they defeated Chelsea 1-0 in the Carabao Cup semi-final first leg at Wembley. Kane was the match-winner again as Spurs’ chances were limited but they held out at the back as Chelsea increased the tempo after the break. BBC Sports reports Tottenham have kept three consecutive clean sheets in all competitions for the first time since October 2017. Kane is now the outright fourth-highest goalscorer for Tottenham Hotspur, scoring his 160th goal. Chelsea are just the second team to lose twice against the same opponent at Wembley in a single season.